Learn how to add impostors to clutters. 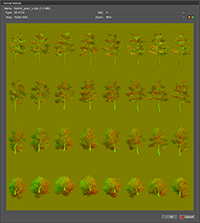 In this tutorial we will show how to set correct impostors to trees, made with clutters. Add your clutter to the scene and make it the child of the terrain. We used the foothill pine tree from the vegetation library. In the Mesh tab of the Clutter set the Visible parameter to 400 for better visibility. 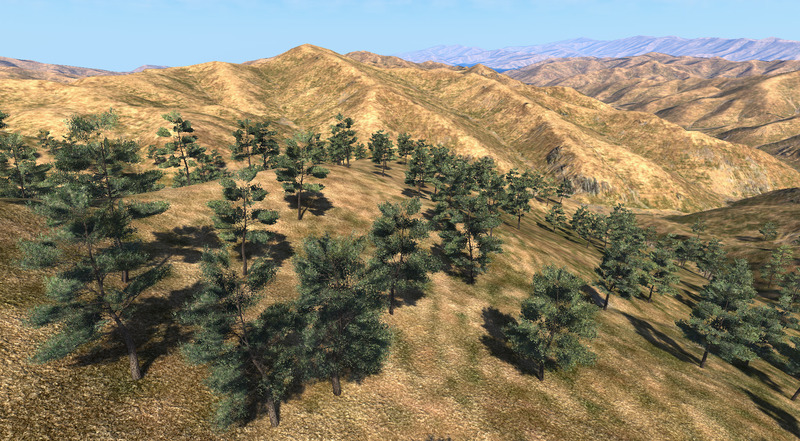 In our case we have set 3 LOD surfaces for trees. The next step is to add the grass object for the impostors. 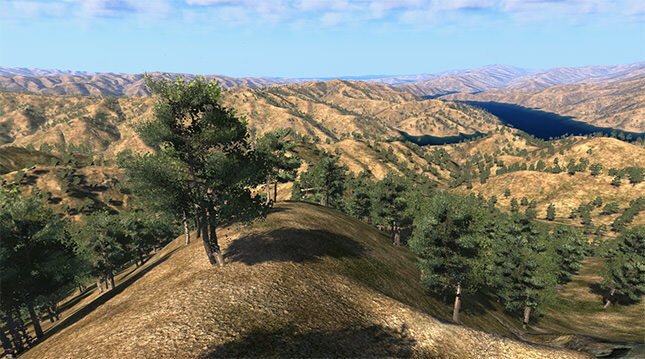 It also should be the child of the terrain. It is preferable to name grass impostor objects after the clutters, so you would not be confused. 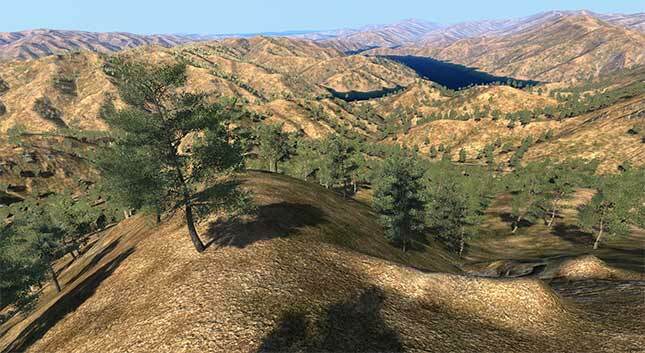 Set the grass object position and rotation to 0. Set the Num textures parameter to 1. Set the same Mask image as for the clutter. Use the 8R textures for the masks to work correctly. Set the values of the Min value and Max value fields the same as for the clutter. Set the values of the Spawn and Seed fields the same as for the clutter. Set the Density value to 0. After that, you can set the Size X, Size Y and Step parameters. The Step parameter of impostors should be bigger than for clutters, but the final generation step should be equal to the clutter's one. Use the Subdivision field for it. The generation step will remain the same, but the grid will become bigger, which will decrease the number of DIPs and increase performance. After the generation grid size is specified, set the same value for the Density field as for the clutter. Set other parameters (till the Min height) the same as for clutters. The parameters that have not been set will we set in the next step. Set the Max parent Visible parameter to 2000. 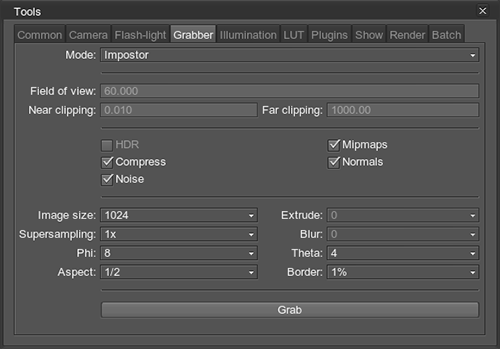 Set the Max parent Fade parameter to 8000. Add the tree mesh, that has been used for the clutter, to the scene. Go to the Surfaces tab of the clutter and click Copy. After that, go to the Surfaces tab of the mesh and press Paste. 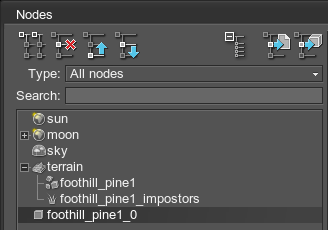 In the Mode field choose the Impostor option. Specify the Phi, Theta and Aspect value. 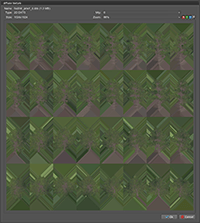 Click Grab and specify the path to save the texture into. 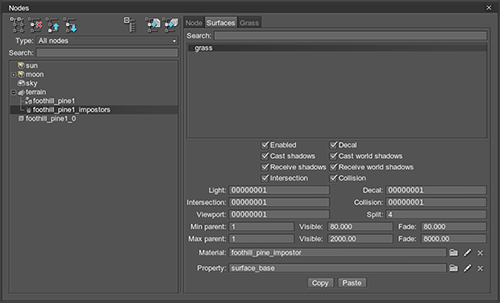 In the Materials panel inherit the grass_impostor_base material. Assign obtained textures to this material. 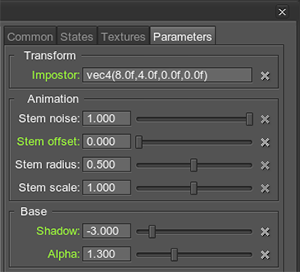 In the Impostor field change the transformation parameters in accordance with the set parameters while generating impostor textures (the Phi and the Theta values set in the Grabber tool should match transformation of the impostor along the X and Y axes). 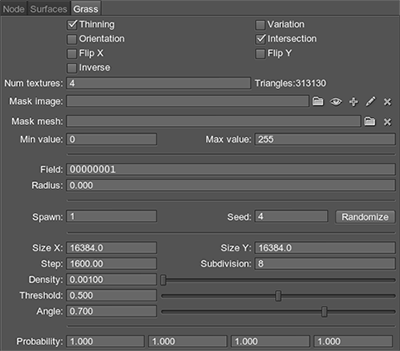 If there are some animation parameters, set for the clutter object material, set the same ones for the impostor. 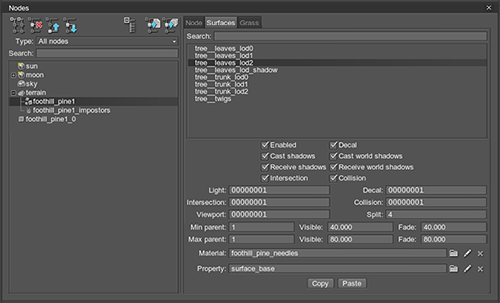 Set the Shadow value to -3. Set the Alpha value to 1.3. Set the same Aspect value as in the Grabber. Set the Num textures value to 1. Adjust other parameters until you receive correct impostors positions. Set the visibility distances for all of the clutter LODs. 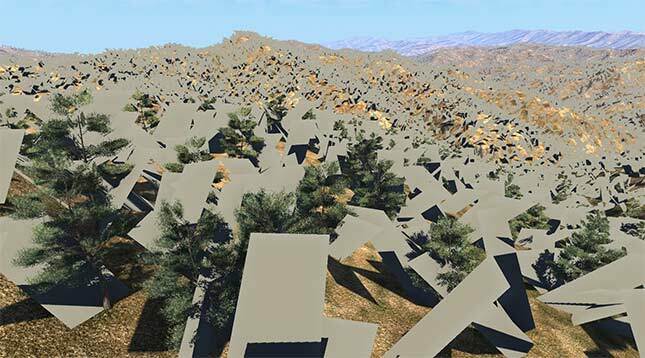 Set the visibility distances for the impostor starting at the last specified distance of the clutter object.